(Bloomberg Businessweek) -- Jakarta, one of the most densely populated cities on Earth, saw its first underground rail line open in March. Hailed as a testament to the nation’s progress by President Joko Widodo, who’s battling for a second term, the metro line has been a long time coming and illustrates Indonesia’s uneasy reliance on foreign capital. First proposed by former dictator President Suharto in early 1985, the metro was built with a 125 billion-yen ($1.1 billion) loan from the Japan International Cooperation Agency. In that 34-year time span, China has built scores of airports, metro systems, and the world’s lengthiest fast-train network, and come within striking distance of joining the ranks of wealthy nations, all largely with its own capital. 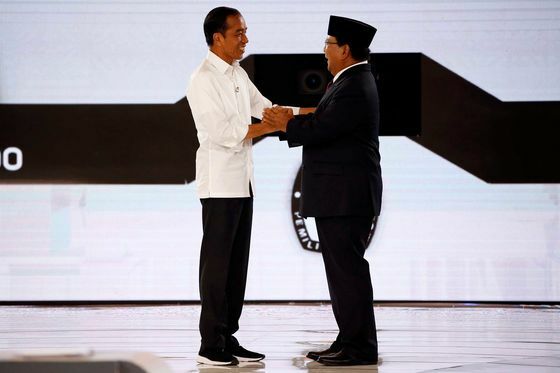 Voters go to the polls on April 17 in a contest that pits Widodo, a onetime furniture exporter known as Jokowi, against Prabowo Subianto, a general from the Suharto era. Indonesia’s economy has a lot going for it. The government has embarked on a $350 billion infrastructure drive, the biggest in the nation’s history, the unemployment rate is near the lows seen when Suharto was in power, and the country has jumped 18 places on the World Bank Group’s ease of doing business index since 2017. After a tax amnesty that netted some $10 billion in revenue, authorities are aiming to boost the country’s tax revenue ratio from 11.5 percent of gross domestic product, while shifting focus to poverty alleviation and job creation with almost $35 billion earmarked in this year’s budget for education and training. Yet that future has been heralded for decades. GDP per capita is estimated at $3,870, less than half that of China, according to figures from the International Monetary Fund. While the services sector and consumption are bright spots, the manufacturing sector has struggled to compete with North Asian rivals and makes up just 20 percent of GDP. When Jokowi swept into office in 2014, he was cast as a man of the people and a great hope for the economy. He aimed to spur growth to 7 percent a year, but the rate has averaged about 5 percent. Almost 26 million people, or about 10 percent of the population, still live in poverty, according to official statistics. Plans to add 35,000 megawatts of power generation, crucial to paving the way for the next 10 years of growth, have been delayed as demand for electricity fell short of estimates. Confidence among global investors has been rattled by Jokowi’s push to assert control over key resources such as copper and oil. 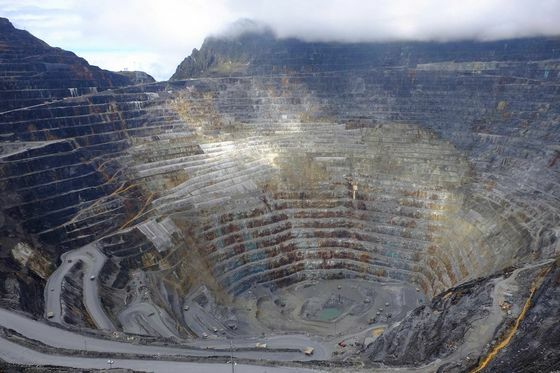 In a move popular among voters but less so with foreign investors, Indonesia’s government last year struck a deal with Freeport-McMoRan Inc. to take a majority stake in the Grasberg gold and copper mine in Papua province. In 2017 the Finance Ministry terminated all business relationships with JPMorgan Chase & Co. after the bank recommended investors sell the nation’s stocks. Indonesia runs perpetual current-account and budget deficits, making it reliant on imported capital flows that can reverse when global investor sentiment swings. That happened last year when the U.S. Federal Reserve’s monetary tightening triggered an exodus of hot money from several emerging markets. Acting quickly, the central bank made a series of interest-rate increases between May and November that helped restore stability to the currency, but the episode was a vivid reminder of Indonesia’s vulnerability. As a leader who comes from outside the elite, and unlike Susilo Bambang Yudhoyono before him, who still runs his own party and has a son eyeing high office, Jokowi has no burgeoning dynasty to protect. That could clear a path for further reforms needed to help Indonesia’s economy take a leap forward. “Two long-overdue legislative reforms are seeing light at the end of the tunnel,” according to Helmi Arman, an economist at Citigroup Inc. in Jakarta, referring to improving contract certainty in the oil and gas sector to entice exploration and efforts to make Indonesia’s labor laws more flexible. The introduction of a new system for setting minimum wages could help boost foreign investment in labor-intensive export industries. Another challenge is to spread development more evenly across an archipelago of more than 17,000 islands that spans the equivalent distance of New York to London. The island of Java, home to the capital Jakarta, accounts for almost 60 percent of Indonesia’s annual gross domestic product. While Jakarta’s economy grew 6.4 percent in the fourth quarter from a year earlier, the country’s easternmost province of Papua contracted about 17.8 percent.